Just when we thought Rihanna has gotten to the peak of launching new products comes another banger “Beach please!” The Fenty Beauty Beach Please collection is a summer collection to complement the March sold out Body Lava Body Luminizer. This product comes in eye popping and daring shades that look good on all skin tones. From the hot pink highlighter, iridescent pal liquid eyeshadow and holographic gold lipgloss, it’s even more daring than expected. This colourful highlighter requires a bit of professionalism to apply perfectly and who does it better than Jackie Aina. 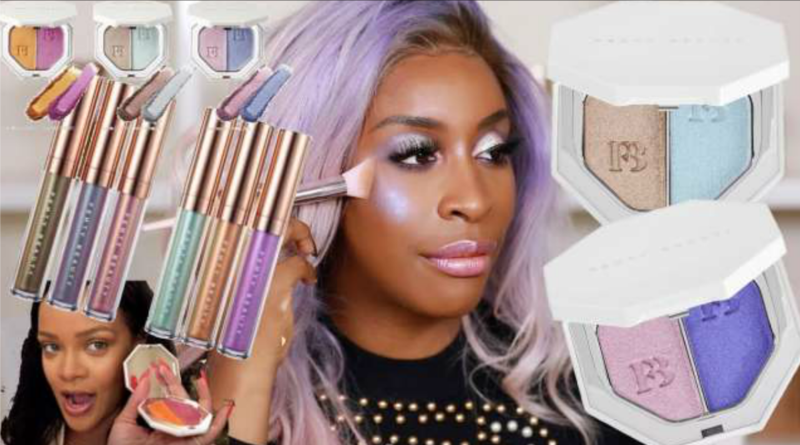 Jackie is one of the tell-it-all YouTubers we’ve come to trust and she just reviewed the Beach Please collection in her new makeup tutorial using the Killawatt Freestyle Highlighters, Island Bling Liquid Eye Shimmer and Lip Luminizer Trios. EXQUISITE! “Iced Flowers” By Svetlana Evstigneeva Is An Ode To Grace, Femininity And Elegance!